Opens and Closes to Keep Water Away From You! Keeps You, Your Car, Your Floors Dry! The reverse open design means the water stays away from you, keeping you dry! The Better Umbrella is the upside down, inverted umbrella that keeps you dry! The reverse open and close technology means the water stays away from you, your car, your home, your floors, wherever you are. This upside down umbrella is constructed of a high quality double layer canopy that withstands high winds and rain and will not collapse on itself. 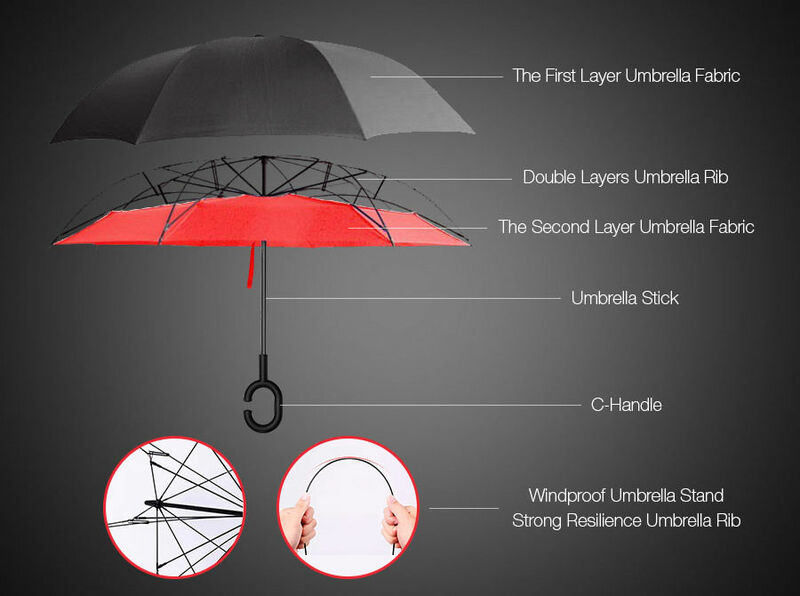 Better Umbrella features a C-shaped hand grip allowing you to hold your umbrella with your wrist giving you use of both hands while staying dry.